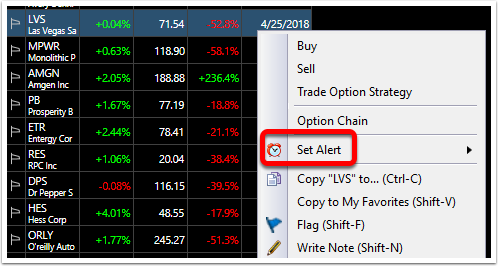 Alerts can be set on price points, trendlines, EasyScans, indicator conditions and even as reminders. 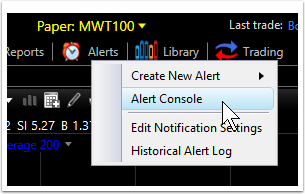 There are pop-up and audio alerts within the software. Alert email and text messages are also available. (Alerts are available in all levels of service as follows: 5 simultaneously monitored alerts in Silver; 100 simultaneously monitored alerts in Gold; unlimited simultaneously monitored alerts in Platinum.) Note: delayed data also means delayed alerts. Real-time data provides real-time alerts. Here are the steps for setting up a reminder alert. 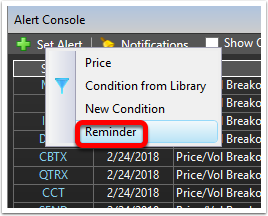 Select the date on which the Reminder alert is to fire. 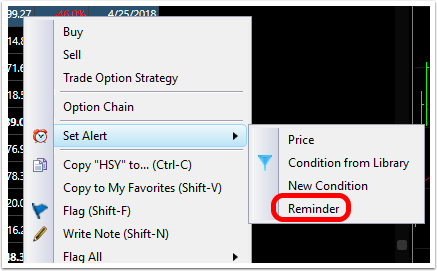 Click OK to set reminder alert. 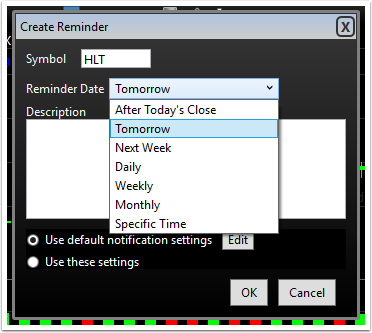 Click here for steps to set up email alert notifications. 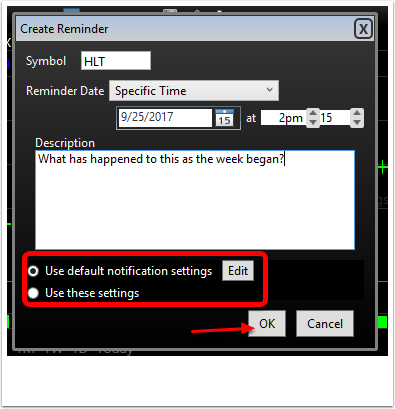 Click here for steps to set up test message alert notifications. Right-Click on desired stock in the WatchList. 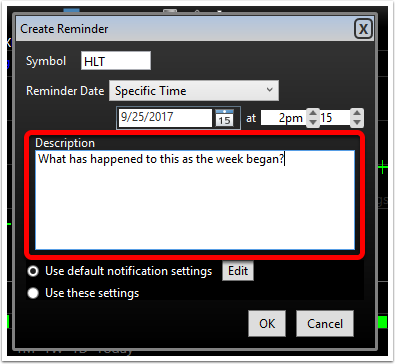 Choose Set Alert from dropdown menu.